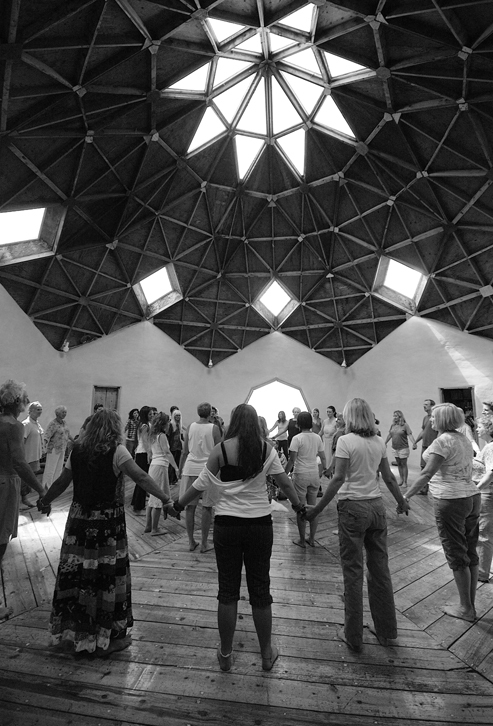 Dancing on a wooden floor in an adobe dome built the 1960s was not really how I had envisaged my visit to the Lama Foundation . Yet this collective moment of fun somehow helped connect me to this community in a way I had not expected. 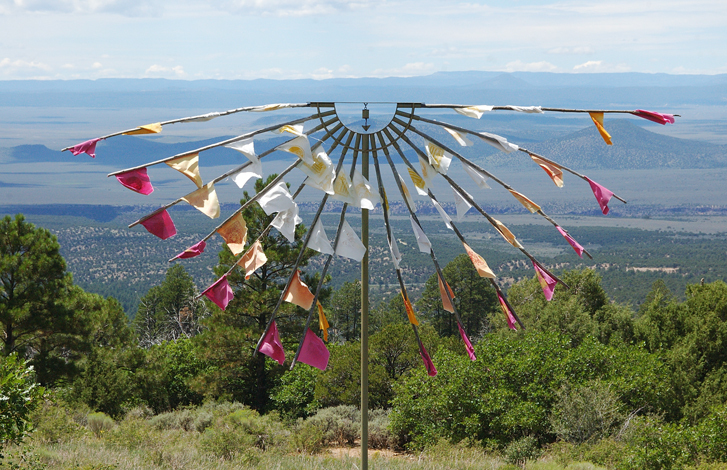 Clutching to the steep hillside of the Sangre de Cristo mountains north of Taos the Lama Foundation has been building since 1968. 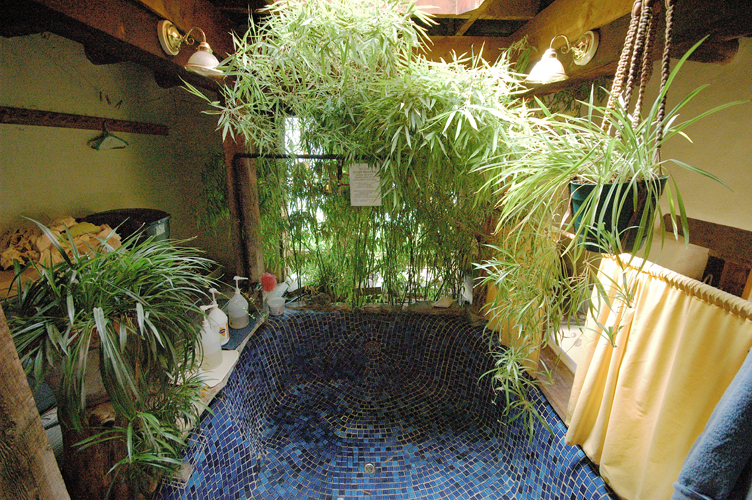 Principally a spiritual centre – following the teachings of Ram Dass and his infamous Be Here Now book which was compiled and published onsite – it has an eclectic mixture of eco-houses. These houses have changed quite radically over the years not least because on 5th May 1996 a fire destroyed the majority of the site, leaving rather miraculously the central dome and the old wooden octagonal kitchen. 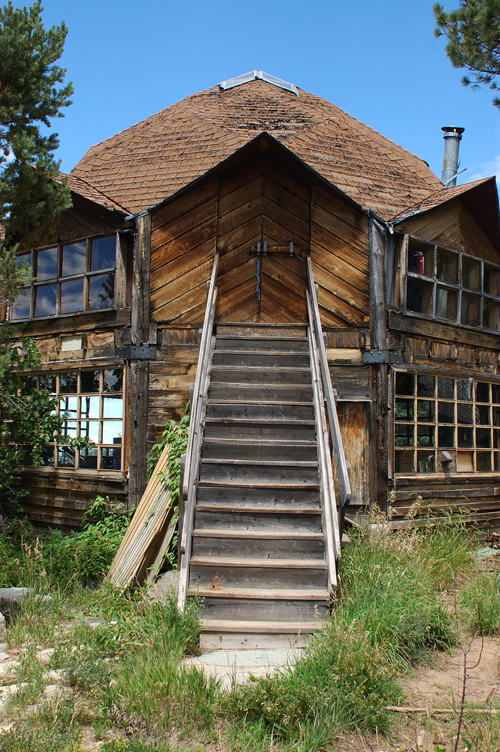 As much loved as the initial dwellings were there was a view that many had been in poor repair (much of the wood had rotted) and ill-equipped to cope with the extremes of the New Mexico climate (long winters, heavy snow and constant winds). Now the range and diversity of the houses is inspirational. There is a log cabin, a straw-bale house, a new base for their cottage industry being made from straw-bale and adobe combined, some yurts for visitors, small vault homes, a hybrid house and many more. Over the years different visitors and residents have experimented with a variety of methods and styles – particularly hybrid approaches. 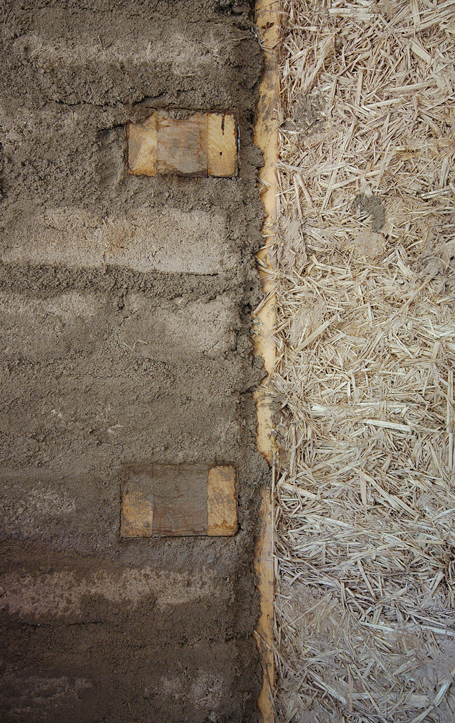 This is when different methods such as straw-bale are used alongside adobe blocks or stone walls. 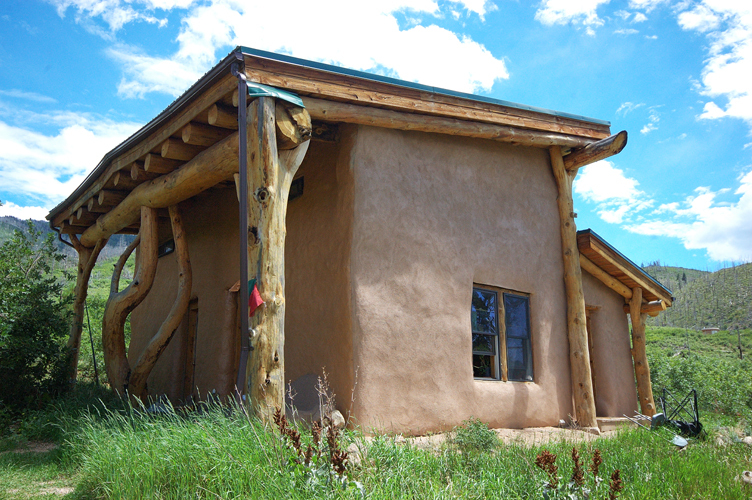 Thus they make use of straw-bale in the north-facing walls (to keep the place warm) and adobe in a south-facing wall (because it allows a building to heat up more quickly than straw). 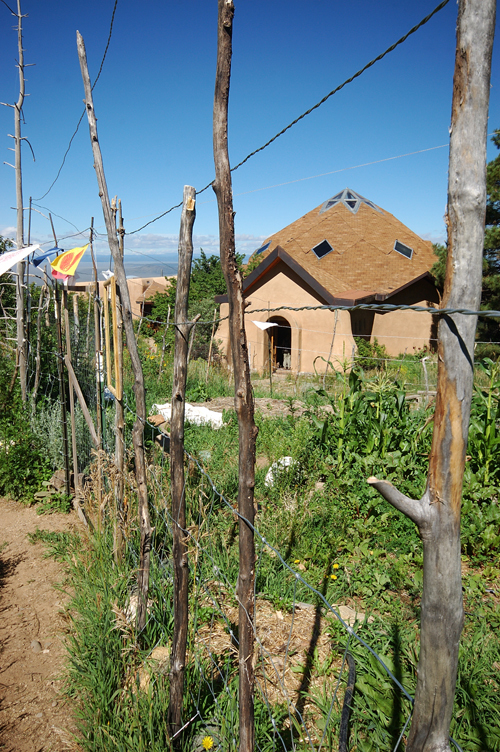 Use of adobe on site was originally inspired by the nearby Pueblo constructions in Taos and many local Indigenous Americans came to the site in the early years to teach the newcomers how to build with earth. 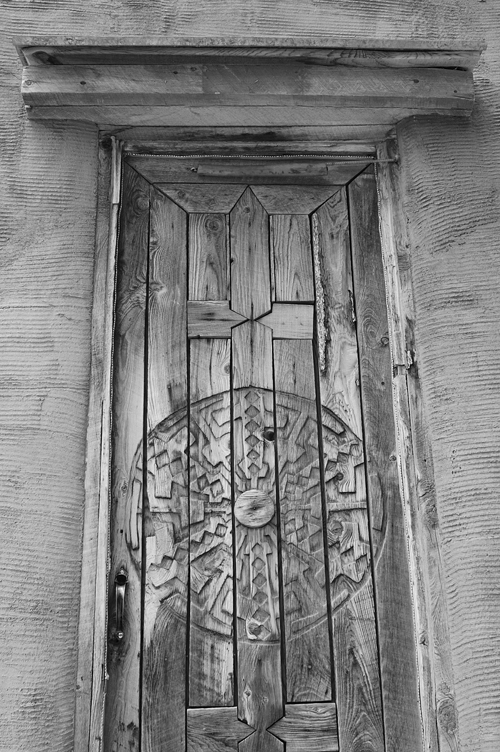 The adobe prayer room near the main done is particularly interesting – with a very small entrance (you have to crawl inside) and a sunken circle in which to sit it is completely peaceful. 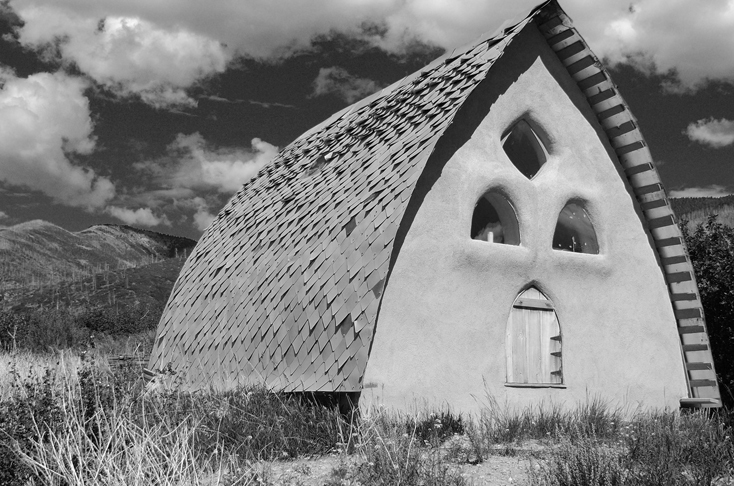 Many of the houses are also deliberately small – such as the vaults designed by Shay Salomon – which are thus cheaper to build and easy to heat. The vaults are straw-bale with aluminium shingle roofs which hang over to the ground each side. 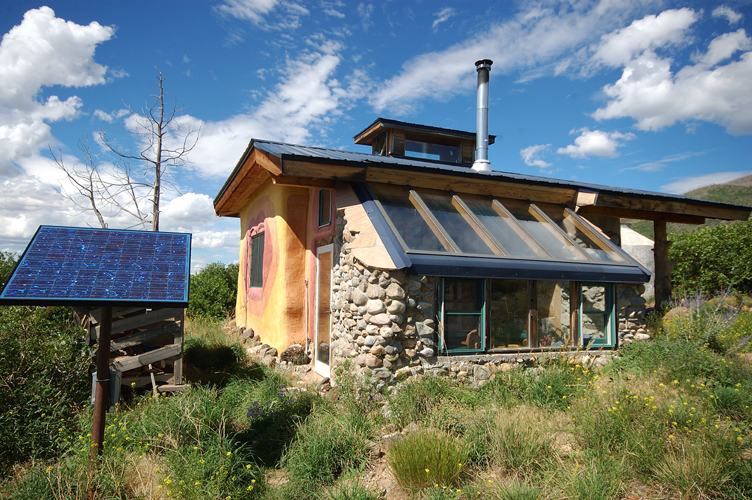 Moreover under New Mexico building code very small buildings do not have to comply. The community setting encourages the building of small individual houses and the collective use of the large communal space. There are communal bathrooms, kitchen, library, music room, winter meeting room, and outdoor sheltered eating area. Building here is a collective process and part of a spiritual practice for many, one resident said they ‘build with clay, mud and love’. Another noted ‘building a house is so human and it has been taken away from us … it is so satisfying being able to build a house’. Some of the ‘special places’ like the stone hermitage have been built in silence and others such as the two vaults were built just by women. In fact Lama has hosted several women-only build workshops which were deemed necessary in order to create a safe space in which women could experiment in building and expand their confidence without the intrusion of men. Nevertheless the majority of building on site is still done by men. The way in which the Foundation has been set up limits residents to a maximum stay of seven years. Resident numbers are limited to the number of houses available on site (currently eight) and the site is most active in the summer months when a large number of volunteers (summer stewards) come and stay. However because the main focus of the site is spirituality rather than eco-building then the co-ordination of building or the skills available is very much dependent on who happens to be around. This has created maintenance problems for the core full-time residents who are there all year because of the sheer number of buildings and the use of natural materials which require regular attention and patching. This tension between a lack of time and skills and the focus being primarily elsewhere has led to the use of concrete and stucco in recent buildings which is not very environmental. They have had at times to make compromises. These compromises have been less about saving money and more about reducing labour requirements. One resident noted that permaculture principles which were increasingly being integrated into community life suggest ‘you should start small and then work your way out, and so we should make sure we can cope with maintaining the buildings we currently have before we build more’. Thus the place seems to be in a constant flow of moving forward and correcting earlier mistakes. The main dome is quite cold (lacking insulation) and some damage to buildings is the result of a lack of sufficient roof overhang or ‘boot’ and the harsh weather. 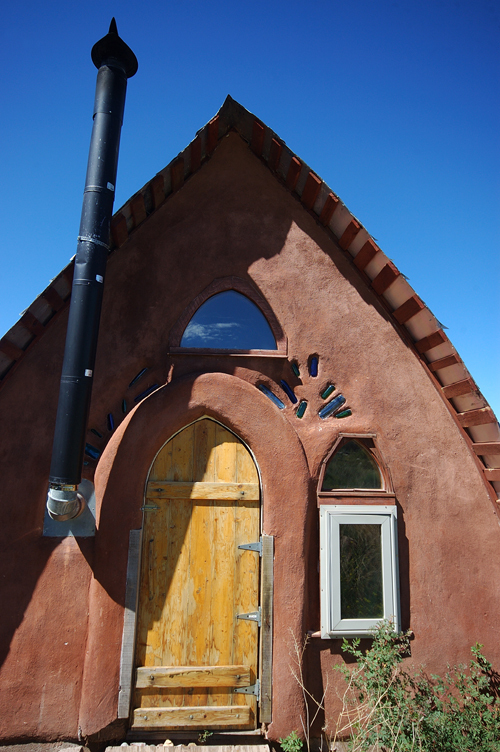 But more recent structures learn from these mistakes and a new straw-bale house has a foot stone boot to protect it. The whole community is off-grid; generating electricity through photovoltaic cells, using compost toilets, wood for heat, and water from an on-site spring (and some rainwater is collected). 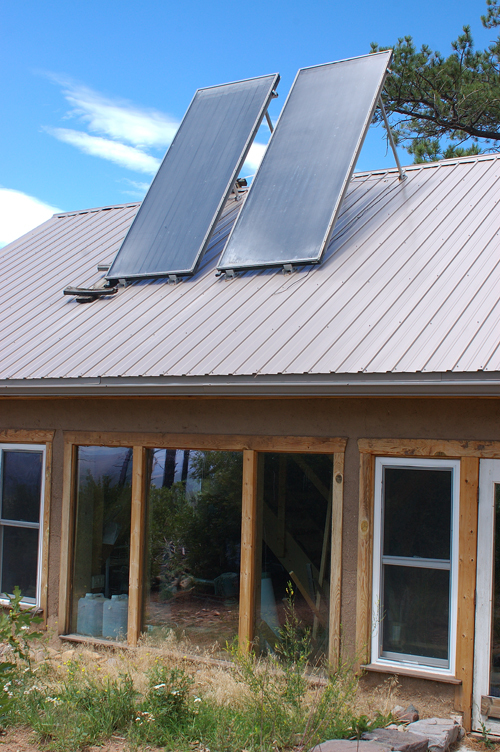 Water is heated in the main through a propane heater because their solar capacity is limited. 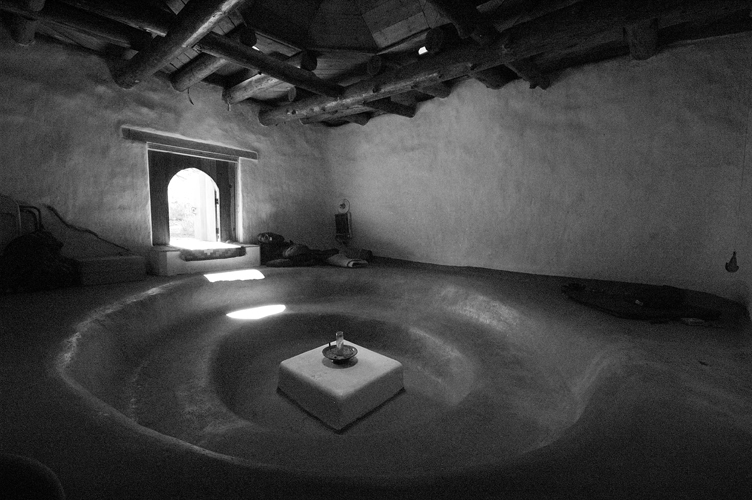 There is undoubtedly something magical at the Lama Foundation, less in a spiritual sense for me personally, but something about its location and the freedom in which eco-building has been experimented in. I left longing to stay and to move into my own little vault house on the mountain side. Also see Cobb, A (2008) Early Lama Foundation, published by Lama Foundation and Salomon, S (2006) Little House on a Small Planet, published by The Lyons Press, Guilford, Connecticut, USA.